The key law that regulates the communications sector is the Estonian Electronic Communications Act (EECA). In addition, there are a number of secondary legal acts adopted on the basis thereof that provide further regulation. The general policymaking and strategic activities in the sphere of communications lie in the domain of the Estonian Ministry of Economic Affairs and Communications. Sector-specific regulation of markets of communication services is conducted by the Estonian Technical Surveillance Authority (ETSA). State supervision of the telecom sector over compliance with relevant legal requirements is mainly carried out by ETSA, but also by other state authorities in the extent of their relevant competencies. Such state authorities include, for example, the Estonian Competition Authority, the Estonian Consumer Protection Board, the Estonian Data Protection Inspectorate, the Estonian Information System Authority and the Estonian Health Board. There are currently no foreign ownership restrictions in the telecommunications sector. Each person has the right to commence the provision of telecommunications services subject to the notification obligation. A notice of economic activities must be submitted through the Estonian information portal or a notary. If the notification is not made through the said portal, there is payable a state fee of €10. If the provided communications services require use of radio frequencies or numbering, the service provider must also hold a frequency or numbering permit. Certain frequencies may be also used without a permit. Frequency and numbering permits are issued by the Estonian Technical Surveillance Authority. The application has to be submitted in the standard format available from ETSA’s webpage. There is also a state fee payable, the amount of which depends on the type of the permit and frequencies or numbering to be used. Processing time for the frequency permit application is up to six weeks if the use of the radio frequencies does not need international coordination and up to eight months if the use of the radio frequencies needs international coordination. Numbering permits are issued within 10 working days. Frequency permits may be also granted through a public competition or auction (eg, more than one person has applied for a particular frequency). Upon grant of the right to use a radio frequency band by way of public competition, the relevant requirements are determined by the minister responsible for the area, who also decides whether there will be payable a one-off permit charge of up to €1,597,000 or a deposit for participation in the competition. Numbering permits may be also granted through an auction (if more than one applicant has applied for the use of the same short number or identification code and the applicants cannot be granted joint use of the short number or identification code). The duration of a frequency and a numbering permit is usually one year, unless the applicant does not apply for a permit with a shorter term. A person is required to take the numbering efficiently into use within six months after obtaining the numbering authorisation. The manner, regime and purpose of using radio frequencies is in general determined in the Estonian radio frequency allocation plan, which is prepared based on the principles of neutrality of electronic communications services and technological neutrality. A frequency permit grants the right to use frequencies under the conditions determined by ETSA. These conditions include, among others, the designation of the technology for which the frequencies will be used, the purpose, manner, area or location of the use of the frequencies, as well as requirements for efficient and effective frequency use and technical conditions of the frequency use and for the avoidance of radio interference. The holder of a frequency permit may transfer in part or in full the right to use radio frequencies defined in the permit or grant the right for use to another person on the basis of a contract for use, provided that the Estonian radio frequency allocation plan allows it. The transfer or grant of right of use is not possible in case the right to use frequencies is related to broadcasting. Transfer or grant of right of use requires approval by the ETSA, which may, if necessary, coordinate the transfer or the grant of the right for use with the Estonian Competition Authority. Approval for the transfer or grant of right of use may be denied if it distorts competition. The obligations that may be imposed on undertakings with significant market power include those relating to access, transparency, non-discrimination and price control. The possibility of the need for functional separation is set forth as an exceptional measure in case ETSA concludes as a result of a market analysis that the appropriate ex-ante regulatory obligations imposed have failed to achieve effective competition and that there are important and persisting competition problems or market failures identified in relation to the market of wholesale provision of certain access products. In such case an obligation can be imposed on the vertically integrated undertakings to place activities related to the wholesale provision of relevant access products in an independently operating business entity. availability of a universal electronic public number directory and directory enquiry services. The universal service provider is designated by way of a public competition taking account of the need to ensure provision of the universal services in a cost-effective manner not prejudicing competition, at an affordable price and, in short-term and long-term perspective. A universal service provider may be designated separately for each type of universal service within a respective territory. The universal service obligation is based on a universal service contract entered into between the state and the designated communications undertaking. Universal services are funded from the state budget out of the universal service charge payments made by the communications undertakings that are subject to payment obligation (ie, whose turnover for communications services exceeds €383,500 per calendar year). The rate of the universal service charge is set annually within the limits of 0.01 to 1 per cent of the turnover of the respective communications undertaking. In addition, universal service providers may also apply to ETSA for compensation in case there are unreasonably burdensome costs related to the performance of the universal service. It should be mentioned, however, that currently there are no designated universal service providers, as all the services in the scope of the above-mentioned universal services are freely and affordably available on the market. The numbering resources are allocated pursuant to the Estonian numbering plan. Any person who provides communications services or uses communications services to provide other services, has the right to use numbering. In order to get the right to use the respective numbers, there has to be a numbering permit in place. The permit allows the use of the numbers indicated in it, the reservation of single numbers and the organisation thereof. In the case of short numbers and identification codes, the permit indicates the specific single number or code. After receiving the numbering permit, the permit holder gets access to the numbering reservation database to reserve specific numbers. After reserving the numbers, the holder of the permit may have to enter into interconnection agreements with the communications services providers from whose networks the numbers have to be dialled. When the numbering permit ends, the permit holder must immediately seize provision of services and cancel the relevant interconnection agreements. Subscribers have the right to number portability. A relevant application may be submitted either to the existing or the new communications services provider. The whole process is free of charge for the subscriber. Portability is possible only between different mobile networks or different fixed telephony networks. As a rule, communications undertakings and end users are free to agree on the conditions of a communications services contract, subject to the restrictions set out in the EECA or other laws for the protection of end users. Any condition of a communications services contract that restricts the rights of the end user, as compared to the rights provided for in the EECA, is null and void. The EECA sets forth the obligation to enter into a subscription contract with a customer who has submitted a relevant application, whereas entry into the contract may be refused only on specific grounds set forth under the EECA. The EECA sets forth a list of mandatory terms and conditions of subscription contracts and requires that most of these and any standard conditions are made available to the public on their website as well. Upon entering into a communications services contract, a communications undertaking is required to inform the consumer of an opportunity to enter into a communications services contract for a maximum term of one year. An initial minimum term of a fixed-term communications services contract entered into with a consumer must not exceed two years. Estonia being a European Union member state is subject to the open internet access requirements under the directly applicable EU Regulation 2015/2120 that promote technological neutrality. No further domestic regulations or guidelines have been adopted. There is no specific regulation in place relating to digital platforms. There are no specific regulatory obligations applicable to NGA networks. However, upon imposing obligations related to the recovery of costs for access or interconnection and price controls, as well as the obligations related to cost orientation of charges and cost accounting systems, on an undertaking with significant market power in relation to the charges and costs of access and interconnection, ETSA seeks to encourage investment by the communications undertaking in the next generation communications networks and should take account of the investments made by the communications undertaking and that an undertaking with significant market power must be allowed a reasonable rate of return on adequate capital employed, considering the risks that are involved and specific to investing in such new network project. In addition, there is the possibility to apply for a grant financed out of the European Cohesion Fund for the purpose of improving access to internet connections in areas where, owing to the absence of the next generation electronic communications base networks, high-speed broadband services are not available for end users. The relevant support measure is open for the period 2014-2020. With a few exceptions set out in the EECA, there is no specific data protection regime applicable to the communications sector. The general requirements set out in the Estonian Personal Data Protection Act also apply to the communications sector. The EECA obliges the communications undertaking to maintain confidentiality of all information it becomes aware of and imposes the data breach notification obligations. The confidentiality obligation extends above all to information concerning specific details related to the use of communications services, the content and format of messages transmitted over the communications network and the information concerning the time and manner of transmission of messages. This information may be used for marketing purposes only with the prior consent of the subscriber. There are also special provisions on use of electronic contact details for direct marketing. There is an opt-in regime applicable for physical persons and an opt-out regime for legal entities. In case of physical persons, the opt-out regime applies if the relevant contact details have been obtained in connection with the purchase of a product or a service and direct marketing messages are sent about similar products or services. Location data may be processed in an anonymous format or with the consent of the subscriber. Publication of subscriber data in number directories and through directory enquiry services must be arranged so that subscribers have the opportunity to decide on whether and to what extent they wish such data to be published. There is no specific legislation yet on cybersecurity. The Estonian Parliament is, however, currently processing a draft law on transposing the EU Directive 2016/1148 of 6 July 2016 concerning measures for a high common level of security of network and information systems across the Union (known as the NIS Directive) which has to be transposed into the laws of the EU member states by 9 May 2018. The said draft law - Cybersecurity Act - does not, however, cover all issues related to cybersecurity and those issues that are not covered in the NIS Directive will be subject to the new cybersecurity strategy to be developed by the Ministry of Economic Affairs, in which additional proposals for new legal requirements might be made. At the moment, the few provisions on network security can be found in the EECA, which requires a communications undertaking to ensure the security of a communications network and prevent third persons from accessing data, as well as notify end users and subscribers of any hazard affecting network security. There is no specific legislation on big data. There are only very few instances where there is a direct obligation to store data locally in Estonia. For example, communications undertakings are obliged to keep certain data regarding usage of their networks and services and relevant interception requests made by the relevant law and enforcement authorities on the territory of Estonia. The purpose of this is to ensure the possibility of the relevant authorities exercising supervision over lawful interception activities, as well as ensuring the security of Estonia. 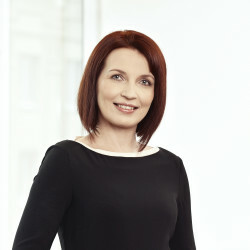 Based on the Estonian Information Society Development Plan 2020, the overall priority in Estonia in electronic communications sector is to ensure the adequate speed and usability of mobile data communication networks and to achieve by 2020 that Estonia is among the top five countries in the world who have the most free internet. In addition, ETSA plans to actively participate in the process of renewing the EU framework regulating electronic communications services. The media sector is regulated mainly by the Estonian Media Service Act (EMSA), EECA and the Estonian Public Broadcasting Act (EPBA). The supervisory authority in the media sector is ETSA. the governing body of the media service provider is located in a member state or a state party to the Convention but the decisions on the media service are taken in a third country, or vice versa, whereas a significant part of the workforce involved in the pursuit of the media service operates in Estonia. There are no foreign ownership restrictions, however the person applying for an activity licence cannot be connected through the dominant influence over the management to the undertaking that has been issued an activity licence for provision of television and radio service and the issue of the activity licence may substantially damage the competition in the media services market, particularly through creation or reinforcement of the dominant position in the market. Estonian public broadcasting is a legal person in public law and does not need any licences for the provision of broadcasting services. Private broadcasters, however, require a respective activity licence for provision of television or radio service. The duration of the licence term depends on the type of the service. In the case of free access television services, the licence duration is up to 10 years and in the case of conditional access television services, up to five years. Radio service licences and satellite television service licences are issued for up to five years. Activity licences are issued by ETSA. Activity licences for provision of free access television service and radio service are issued through a competition to the best bidder. Other licences are issued on the basis of applications, and the processing time is up to one month in case of conditional access television service and up to six months in case of satellite television services. State fees for processing applications remain below €1,000. There may be established certain secondary conditions of the activity licence for the provision of free access television service, conditional access television service and radio service. These may include a minimum amount in the programme service of the works of the Estonian authors and audiovisual works completed with the financial support of the Estonian state, the proportion of musical and verbal broadcasts in the programme service, including the proportion of the news programmes, the amount of programmes in the programme service reflecting the life in the coverage area, the requirement for the coverage area, main target audience and the language of verbal broadcasts may be established as secondary conditions. Provision of on-demand audiovisual media services requires a notification of economic activity to be submitted through the Estonian information portal or notary. There are no specific regulations concerning the broadcasting of foreign-produced programmes. There are, however, rules requiring a minimum amount of local content and European works. These apply to television and radio service providers, except those providers that transmit only television advertising and teleshopping or only self-promotion. Derogations may be made from the minimum local content amount requirements at the justified request of the television service provider authorised to transmit predominantly music, sports events, movies or other thematic programme services or the national radio service provider authorised to transmit music programme services. On-demand media service providers have the obligation to promote production of and accessibility to European works either providing financial support for the production of European works, ordering of the works or obtaining the rights for the transmission thereof, highlighting European works in the programme catalogue or highlighting the works that are in compliance with the features of own production and highlighting the year of their completion in the programme catalogue. Estonian Public Broadcasting is not allowed to transmit advertising and teleshopping or receive support from sponsorship at all. There are, however, some exceptions. The Public Broadcasting Council has the right to permit the advertisement, teleshopping or sponsorship if it relates to the broadcasting rights of an international major event acquired via the European Broadcasting Union or if it relates to the broadcasting rights of a cultural or sports event if there is significant public interest. In addition, Estonian Public Broadcasting may broadcast announcements free of charge concerning non-profit making public events or call people to behave in a certain manner if it is in public interest. It can also introduce itself, its programme services and programmes and the products related thereto. Other media service providers are free to use advertising subject to the requirements set out in EMSA and in the Estonian Advertising Act (EAA). EMSA sets forth rules for commercial communications, television and radio advertising and teleshopping, sponsorship and product placements. Advertising requirements set out in EMSA apply to radio services and audiovisual media services (television services, on-demand audiovisual media services, audiovisual commercial communications and other similar services, except for services that do not compete with a television service). Online advertising is subject to the same rules only if the relevant online platform can be qualified as a media services provider. Otherwise, online advertising is subject to general advertising requirements under the EAA. A communications undertaking that provides cable distribution services must guarantee the continuous retransmission of television programmes of the Estonian public provider of media services and television programmes transmitted by a provider of television services with unrestricted access that are received in the cable network area at a signal intensity compatible with the technical requirements and for the transmission of which the provider of television services requires no charge. A provider of television services with unrestricted access has the right to require a reasonable charge for retransmission of television programmes from the communications undertaking that provides cable distribution services. The must-carry programmes have to be transmitted as a single package based on a subscription contract entered into between the communications undertaking that provides cable distribution services and the end user. A provider of multiplexing services must ensure, at the request of a public provider of media services, the transmission of television programmes of the latter. A public provider of media services must give the provider of multiplexing services an advance written notice of its wish for transmission of its television programmes at least six months prior to the commencement of transmission. Currently there is no separate regulation for new media content. Digital switchover occurred on 1 July 2010. The freed-up frequencies are used for 4G mobile communication services. Broadcasters can use their spectrum according to the terms and conditions set out in the respective frequency permit. Apart from EMSA and the EPBA, there is no specific media law or assessment process in Estonia that would address the issue of media plurality. ETSA continues to be actively involved in the process of renewing the EU Audiovisual Media Services Directive. The recent headline news includes the initiative of inviting large UK broadcasters to find a new location in Estonia to ensure the free movement of their services after Brexit. Communications and media sectors are regulated by ETSA. Antitrust matters are regulated by the Estonian Competition Authority (ECA), although sector-specific regulation, market analysis and designation of undertakings with significant market power in the communications sector lies in the competence of ETSA. The scope of competencies of both ETSA and the ECA is set forth in their statutes. Furthermore, the EECA sets forth the cooperation and information exchange obligation for these two regulators in the area of market regulation and exercising of supervision in the electronic communications sector. Cooperation between ETSA and the ECA has to ensure uniform and consistent interpretation of the competition situation and prevent the passing of contradictory decisions. Decisions of regulators are administrative acts that can be challenged pursuant to the procedures set out in the Estonian Administrative Procedures Act. If a person finds that the relevant administrative act violates their rights or restricts their freedoms, a challenge with the relevant regulator may be filed within 30 days of the person becoming, or should have become, aware of the challenged administrative act or measure. If the challenge is not satisfied or the person feels that his or her rights were violated during the challenge proceedings, an action may be filed with the administrative court within 30 days, pursuant to the Code of Administrative Court Procedure. The court judgment may be thereafter appealed to a second instance court and further to the Supreme Court. No specific competition law trends could be identified in relation to communications and media sector in Estonia over the past year. Owing to the small size of the Estonian market and the communications and media sector also being small, there have not been too many activities on the relevant market requiring the attention of the ECA.